A man was caught by police in Chesterfield town centre rolling the suspected zombie-drug Mamba into a cigarette paper. 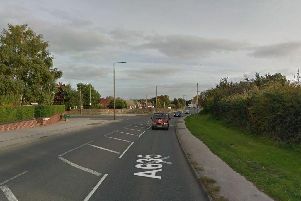 Chesterfield magistrates’ court heard on Wednesday, April 18, how Zac Hall, 21, formerly of Queen Victoria Road, New Tupton, Chesterfield, was spotted by police at the rear of Jackson’s bakery near the entrance of Woodhead’s cafe. Hall, now of Eagle Place, Retford, accepted to police that he was in possession of what he believed was the zombie-drug Mamba and he claimed that he thought it was a legal-high. The defendant pleaded guilty to possessing 0.33grammes of a synthetic cannabinoid, a class B drug, known formally as 5F-MDMB-PINACA MMB-FUBINACA. Defence solicitor Denny Lau said he was surprised Hall was not dealt with by way of a caution after the incident in November, 2017. He added that Hall had been homeless at the time but is now living with his girlfriend in Retford and he has the support of her family. Magistrates sentenced Hall to a six-month conditional discharge but Mr Thacker warned any repeat offending would mean Hall would be punished for the drugs offence along with any new crime. Hall was also ordered to pay £85 costs and a £20 victim surcharge.